Twitter, founded in 2006, drives a lot of the conversation on social media. When it comes to movies and TV shows, Twitter often is a medium for fans to express themselves about movies and TV shows. It’s also a way for various media outlets to blast out headlines before publishing stories. With that in mind, here are some of the tweets that could have been posted in the earliest days of the James Bond film franchise. Sean Connery’s casting as James Bond is announced. –They cast WHO? The guy is balding and he has bad teeth! –Dr. No is a half-day behind schedule after its first day of filming! This movie is doomed! –I hear the reason for the delay was Jack Lord was late. Bloody American! –Rumor has it the fourth day of shooting was almost a total loss. Does this production know what it’s doing? –The Dragon keeps breaking down! Lousiest machine I’ve had to work on! Things get serious when the movie goes to post-production. –Film Finances, the company that provided the completion bond for Dr. No, has taken over control. This production is doomed! –Word is Film Finances has impounded a big chunk of Terence Young’s salary until it gets its money back. What a messed up production this is! –Felix Leiter?! He wasn’t in the book! –Hey! They changed the ending! What happened to Dr. No being buried under guano?! –Call Me Bwana? It was Niagara in the book! And it was Marilyn Monroe, not Anita Ekberg! –I must say Lotte Lenya is far too glamorous to play Rosa Klebb! –Pedro Armendariz just committed suicide. How tragic! I wonder if they got all the Darko Kerim footage they needed. –Terence Young was almost killed in a helicopter accident! Is this production jinxed? –There’s a rumor that they set off explosions for what was intended as run-through. Do these jokers know what they’re doing? –Hey! They changed the ending! Bond went all the way to Paris in the book! –I still don’t know about this Connery guy. The British tabloid press is generating stories about what supposedly caused Danny Boyle to exit Bond 25. One example: a Daily Mail story (not done by Baz Bamigboye who has a record of scoops proven to be correct). The new story purports to provide behind-the-scenes detail. The thing is, under the best of circumstances, Bond films often are tense, expensive affairs. Thunderball raced to meet a Christmas 1965 release. The script of Tomorrow Never Dies was being written on the fly extensively. SPECTRE’s production issues were explosed via the Sony hacks before filming began. The tabloid stories have sought to sniff out specific details. But it almost doesn’t matter. Bond 25, from the outside, appears to have had an even more volatile mix than even the 007 series norm. And some of the factors go back years. 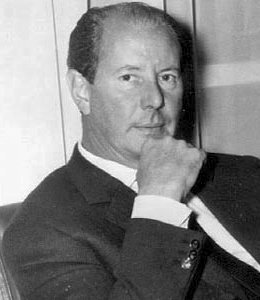 Eon’s desire for critical respect: The James Bond film franchise was built, in part, on the work of journeymen directors such as Terence Young and Guy Hamilton. For example, Young helped to shape Sean Connery’s performance as Bond, introducing him to tailored suits and expensive dress shirts. Later, Eon would promote the likes of Peter Hunt and John Glen (who had been editors and second unit directors) to the 007 director chair. 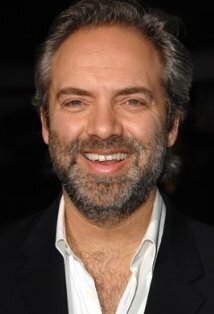 As a result, Eon hired the likes of Marc Forster for Quantum of Solace and Sam Mendes for Skyfall and SPECTRE. So the hiring of Danny Boyle, director of Trainspotting, was part of a broader pattern. Boyle had even directed a video for the 2012 Olympics featuring Daniel Craig as Bond. A natural, right? Not so fast. A new director who had mixed feelings: Boyle had previously said he wasn’t Bond director material. “I’m not the guy to make Bond movies,” Boyle said in 2013. “I love watching them and I like the books…As a teenager, I read those books cover to cover many times.” He said working on lower-budget films like the ones he usually does provides more freedom. You can see for yourself in the video below, starting about the 1:56 mark. However, Daniel Craig, returning for his fifth 007 film, really wanted Boyle as director, according to March Daily Mail story by Baz Bamigboye. If Craig wanted it, then it was likely that Barbara Broccoli would want it, too. Broccoli made the choice of Craig in the first place in 2005 and has made it clear she wants him to stick around as long as possible. Boyle got himself in this position by pitching an idea that would later be written into script form by John Hodge, Boyle’s screenwriter on Trainspotting. Sure enough, on May 25, Eon announced Boyle would direct Bond 25 from an original screenplay by Hodge. Everything was rolling, right? A 007 star with unprecedented power: With 2015’s SPECTRE, Craig added the title of co-producer. It was something no other Bond actor in the Eon series had achieved. Connery in the 1960s wanted to be an Eon partner but was turned down. If Boyle had any serious disagreement with Craig, chances are he wasn’t going to come out on top. The mix: So we have an “auteur” director uncomfortable with big-budget film making, who’s used to doing things his own way. He’s working his way amid a big, expensive project. He’s working with a star who had the additional clout of a producer’s title who also has the backing of the leader of the production company that’s been making 007 films since 1962. Shrug. Just another day at the Universal Exports office, I suppose. 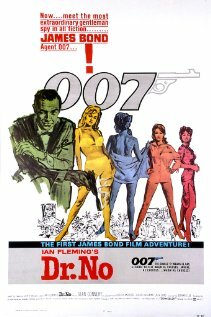 Film Finances Inc. had agreed to provide a “completion bond” for Dr. No and provide contingency funding to ensure the first James Bond film would be finished. However, because of continuing cost overruns, Film Finances under its agreement with Eon Productions and United Artists, exercised its right to take over responsibility for the production as it began post production. According to the 2011 book, A Bond for Bond, published by Film Finances, such an option was supposed to be a last resort. In 1962, Film Finances would end up doing it three times on United Artists movies, including Tom Jones, another film plagued by overruns. Dr. No producers Albert R. Broccoli and Harry Saltzman and director Terence Young would retain responsibility for creative decisions. Film Finances, however, now controlled the purse strings, author Charles Drazin wrote. The book reproduces documents in the archives of Film Financing. Post-production included some additional film shooting to complete the movie, including shots of Bond (Sean Connery) in a shaft in Dr. No.’s headquarters, the agent laying on his hotel room when a tarantula arrives and two men exiting a hatch from the “dragon” that patrolled Crab Key. Originally, these shots were to be performed over two days. With Film Finances now in control, they were done in a single day, April 26, 1962. Other matters needed to be resolved. There had been 7,000 pounds (almost $20,000 at an exchange rate of $2.80 to the pound) in cost overruns for sets — overages that production designer Ken Adam had anticipated and informed Saltzman about. Film Finances agreed not to force repayment of the set overruns. In return, Danjaq SA, the holding company for Eon Productions, agreed on April 10, 1962 to grant 5 percent of Dr. No’s profits to Film Finances. However, Danjaq had the option to buy back Film Finances’ profit participation for the sum of the 7,000 pounds (for the set overruns) plus an additional 2,500 pounds after Film Finances recovered all money advanced to finance the production. Danjaq ended up exercising the option, Drazin wrote. A copy of the agreement is on page 94 of the book. This didn’t make Young happy. “But I do feel, and I feel this most strongly, that Film Finances have behaved very shabbily to put it mildly,” the director wrote in a letter to his lawyer (pages 95-98). On page 99 and 100, there’s a copy of a memo by Film Finances executive Robert Garrett about Young. In the end, Dr. No’s final budget was more than 392,022 pounds (almost $1.1 million), according to a copy dated Jan. 11, 1963 filed by associate producer Stanley Sopel to Film Finances (pages 103-106). The sources of the money were 322,069 pounds from a Bank of America loan (the budget before overruns), 10, 063 pounds from United Artists and 59,890 pounds from Film Finances. Film Finances, in a letter to Eon dated Jan. 21, 1964, said as of Dec. 31, 1963, it had been paid back with interest. From that point forward, author Drazin wrote, Eon would not utilize Film Finances’ services for Bond films. Thanks to Gary J. Firuta for loaning the blog his copy of A Bond for Bond. The first day of filming on Dr. No had a bad omen. Principal photography began Jan. 16, 1962 at the Kingston, Jamaica, airport. Jack Lord, playing CIA agent Felix Leiter, had been scheduled to arrive Jan. 14 and report for work at 8:30 a.m., Jan. 16. Because of travel complications, Lord couldn’t get to Kingston until 12:20 p.m. on Jan. 16 and didn’t arrive on the set until 2:45 p.m. Sean Connery, playing Bond, and John Kitzmiller, playing Quarrel, had arrived at 8:30 a.m.
“Because of the sun angle, we lost his first shots,” production manager L.C. Rudkin wrote on a unit progress report on Jan. 16, referring to Lord. The Dr. No crew would have to return to the airport the following day, putting the production of the first James Bond film one-half day behind schedule on its very first day. That report is one of the various documents in the 2011 book A Bond for Bond, describing the travails of Dr. No’s production. The book, by Charles Drazin, focuses on the contributions of Film Finances Inc., the company that provided the “completion bond,” ensuring the movie would be finished. Nor was that the only delay the Dr. No unit would see. Day 4: “Bad light and generator breakdown,” according to a summary of location shooting after principal photography concluded. “Nearly day lost yet we shot -” Day 6: “Rough seas made abandonment necessary. Had to move over to location 15 miles.” Day 17: “Rough seas and two locations with retakes.” Day 20: “Rained nearly all day – shot in rain.” Day 24: “Whole beach had to be rebuilt because of hurricane in night, yet we shot.” Day 25: The “dragon” broke down and a safety winch also broke down, causing another half-day delay. By the end of location shooting, according to this summary, 10 to 12 days of work had been lost and two sequences (“Interior Hotel Foyer” and the interior of Playdell-Smith’s office) would have to be filmed when the production moved to Pinewood Studios in England. Trouble was also brewing at Pinewood. Production designer Ken Adam had written a letter to Film Finances that the budget for sets was adequate. It wasn’t. In a Feb. 1, 1962 letter to co-producer Harry Saltzman, and cc’d to his partner Albert R. Broccoli, Adam said set construction, props and set dressing would be more than budgeted. “This is merely a note to make quite certain you have realised this,” Adam wrote Saltzman. On Feb. 18, Saltzman wrote Film Finances executive Robert Garrett to reassure him about cost overruns — which were exceeding the financing for contingencies that Garrett’s company had provided. Garrett wasn’t reassured. In a March 16, 1962 letter to Saltzman, the executive outlined budget overruns for publicity, music, studio rentals, insurance and other expenses and said it appeared the pace of production had slowed during filming at Pinewood. According to author Draznin, Dr. No had exceeded its budget by 57,027 pounds (almost $160,000) for the week ending March 23, 1962. Principal photography finally ended April 3. By that time, Film Finances took an action it normally considered a last resort. NEXT: Film Finances takes control of Dr. No. Squabbles over money, production delays and the exchange of terse words. SPECTRE, the 24th James Bond film? No. Dr. No, the first. 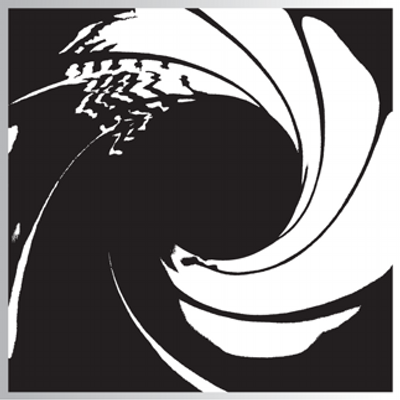 In 2011, Film Finances Inc., which specializes in “completion bonds” that ensure movies get finished, published A Bond for Bond. The book presented the company’s history with Dr. No, including reproducing memos and production budgets. For a fee, Film Financing, founded in 1950, guarantees completion of a movie, including providing contingency financing. With Dr. No, Film Financing ended up taking financial control of the film as principal photography ended and post-production began. That meant all expenditures from that point forward had to be approved by Film Financing. According to the book, written by Charles Drazin and reprinted in 2014, Film Finances had previously provided completion bonds to earlier movies produced separately by Albert R. Broccoli and Harry Saltzman. While the new partners had a distribution deal with United Artists, Film Finances would provide the completion bond for the first Bond. As Film Finances considered the project, executives were enthusiastic but had concerns. A Dec. 16, 1961 memo analyzing the movie’s budget questioned whether shooting schedule was too optimistic and whether director Terence Young could meet it. Croydon wrote from first-hand experience. He had been associate producer on the 1960 Saltzman-produced film The Entertainer. Dr. No had an initial budget of 317,399 pounds (almost $889,000 at an exchange rate of $2.80 per pound), later revised to 322,096 (almost $901,800), with 23,199 pounds in contingency funds. Various crew members, including Young and production director Ken Adam, wrote brief letters to Film Finances saying the budget was adequate for the movie. Harry Saltzman wrote a similar but more detailed letter. Young was slated to receive a fee of 15,000 pounds ($42,000), but agreed to defer 10,000 pounds of it into an escrow account. This would cause tension later. The pre-production documents in A Bond for Bond also show the distinguished British director of photography Geoffrey Unsworth worked on Dr. No for a day. On Dec. 21, 1961, Unsworth photographed screen tests of four actresses contending for the role of Miss Taro, including eventual winner Zena Marshall. In January 1962, principal photography on Dr. No began. Before it was over, executives at Film Finances would make a move the company rarely made because of financial concerns. 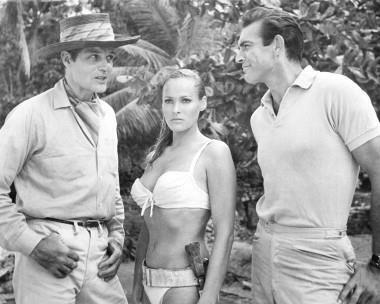 NEXT: Dr. No falls a half-day behind schedule on its first day. December marks the last major 007 anniversary of this year — the 50th anniversary of Thunderball, the fourth Bond film and the apex of the 1960s spy craze. This blog has written a lot about Thunderball. It was a milestone. In the fall of 1965, spies had taken over television, trying to get a piece of the spy frezy unleashed by Agent 007. But Thunderball transcended all that. A half-century after it was released, Thunderball generates mixed reactions. For those who were there, it was a huge event. For those who weren’t, some go so far to wonder what the fuss was all about. The former looks fondly at a spectacle that could only be viewed on the silver screen, not on TV. The latter sees a slow-moving movie (at least in its underwater sequences). The former sees a self-assured Sean Connery as Bond, at the height of his powers. The former says, “Meh!” and the original 007 director, Terence Young, phoning it in. In the U.S. and Canada (ticket information outside that region is hard to come by), no James Bond movie sold more tickets for viewing in a theater. Not just during its initial release, but various re-releases that took place for almost a decade. In the end, which James Bond movie you like best comes down to personal preference. When looked at on that basis, there are untold opinions. But Thunderball remains the movie when 007 made his biggest impact on popular entertainment. Thunderball was the follow-up to Goldfinger, the first Bond mega-hit. That was a time that can’t be re-created. Thunderball, like other spy-entertainment of the mid-1960s, was like catching lightning in a bottle. 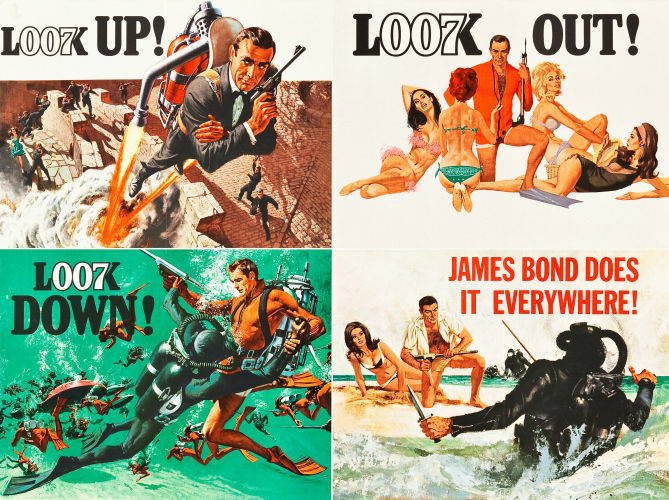 No matter was happens in the 007 film series, Thunderball remains something to be celebrated. There’s a new issue of Empire magazine that’s guest edited by Sam Mendes, the director of SPECTRE. The DIGITAL SPY WEBSITE has a post quoting from that issue. Specifically, the Digital Spy post includes quotes from Mendes whether, in SPECTRE, Christoph Waltz plays SPECTRE mastermind Ernst Stavro Blofeld. The filmmaker also took issue with fans demanding to know if Waltz is Blofeld before seeing the film. Responding to the criticism over Star Trek Into Darkness’s John Harrison/Khan reveal, Mendes said: “Why was there a backlash? There’s a narrative as well. The naming of a character is part of a story. That’s interesting. Still, while it might not be the best comparison, From Russia With Love, the second James Bond film, may be the exception to what Mendes describes. In the 1963 movie, the audience is shown most of the conspiracy that James Bond (Sean Connery) will confront. Bond himself doesn’t appear until 18 minutes into the film, although there’s a phony Bond in the pre-titles sequence to hold the interest of the audience. In Ian Fleming’s 1957 novel, things were even more dramatic. The first 10 chapters show the conspiracy (a Soviet one, while the movie was SPECTRE-driven), and Bond doesn’t show up until Chapter 11. Fleming would attempt something similar in The Spy Who Loved Me novel (where 007 doesn’t put in an appearance until the final third of the story). That novel wasn’t as well received as From Russia With Love. The point being in the second Bond film, the audience knows a lot that Bond doesn’t know by the time the British agent becomes involved in the case. Still, there was plenty of tension and a number of twists. Perhaps From Russia With Love is a special case, the exception that proves Mendes’ rule. Still, From Russia With Love was a journeyman director (Terence Young), not the auteurs favored by Eon Productions in the 21st century. Sometimes, there aren’t hard and fast story telling rules.